A simple but flavourful creation using fresh raspberries and homemade jelly. Tonight is NewYear’s Eve! Tonight you may be clinking glasses together family and friends, and if your home is filled with kids, it’s nice to have an elegant alternate that the whole family can enjoy. The idea of floating fresh fruit in a clear sparkling drink, served in a flute glass isn’t new. But it is an elegant way to celebrate new year. You can find recipes using champagne, sparkling wine and flavoured spirits bubbling in glasses on Pinterest, blogs and Facebook. Finewine’s and good spirits has their sparkling creation at the top of their new years cocktail list. 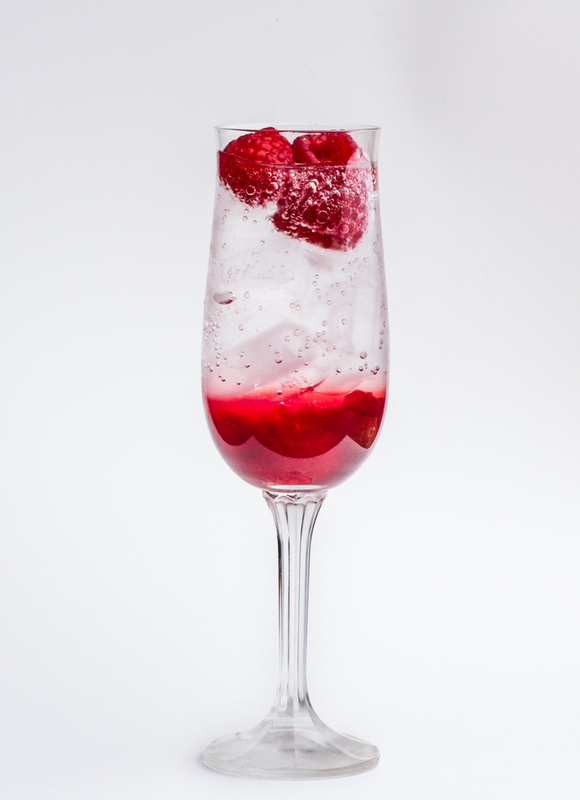 Punchbowl.com shows a beautiful image of champagne being poured over raspberries on their page about New Year’s Champagne Cocktails. Adding fruit jelly or preserves isn’t either. OSoSexy’s online magazine gives a recipe for a Cherry Berry Delight using raspberries both fresh and preserved with cherry infused spirits. While you can often buy sparkling non-alcoholic ciders and wines to share with family of all ages, I wanted to offer something that added a hint of mixology and elegance not found in a bottled drink. Measure jelly into bottom of flute glass. 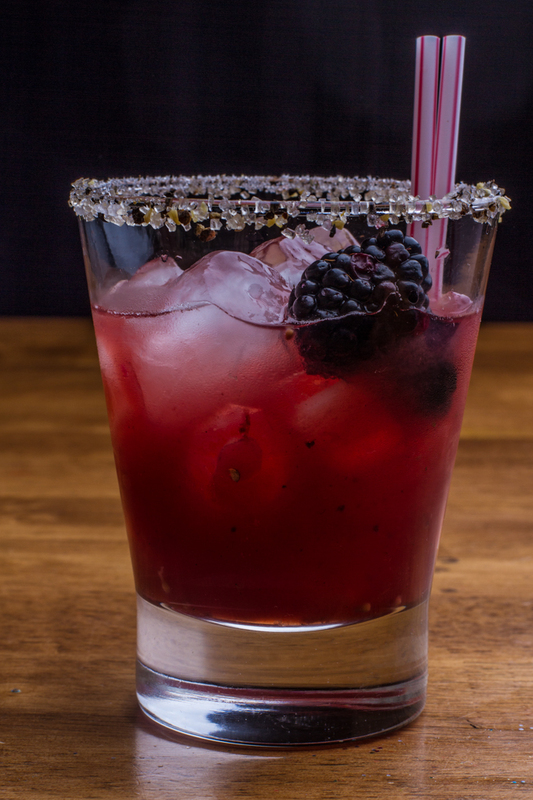 Fill flute glass with ice and top with few raspberries. Squeeze lime into cocktail mixer and drop fruit in after. Top with sugar and muddle to blend flavours further. Add ice and soda water and shake. Pour over ice in flute glass adding more soda water to fill if necessary. Serve with stir stick to mix. I created this recipe originally to look cool. The idea was to imitate he champagnes and I wanted something elegant for my blog banner. Later I perfected this, having an abundance of raspberry jelly left after my halloween drink creations. In november a friend showed me a video using limes and sugar with Cachaca (a spirit made with sugar cane) and I refined this further to make the drink for our New Year’s Party. My kids loved this in all it’s forms. Taste: 5/5 Refined and sweet. Simplicity: 4/5 The jelly takes a bit to make, but the rest is a breeze. Ingredient finding: 5/5 no fancy ingredinents required. Virgin Mudslide. Takes a bit of work to get the genuine taste, but results are worth it. Two of my favourite flavours in liqueurs are Irish Cream and Kahlua. So some of the first experiments I tried was a way to replicate the flavour of these in a syrup without the use of alcohol. Finding recipes for DIY Irish Cream was fairly easy, finding one that kept true to the flavour of my favourite Baileys was a little harder. In order to be true to science, I needed to test the recipe as it should be, as well as without the alcohol to make sure that the flavours remained consistent. So I now have a bottle of Irish Whiskey in my cupboard awaiting further use down the road, after using about two oz for testing. But it was worth the expense. Here are a few of the sites I found if you wish to do your own comparison. Top Secret.com, Brown Eyed Baker, Saveur and A Cozy Kitchen all used a combination of coffee, chocolate and vanilla along with cream or condensed milk. BBC Foods Recipes, Cupcake Project and All Recipes.com added almond extract or essence into the mix. Each of these recipes is almost identical, calling for the same proportions of almond, coffee, chocolate and vanilla along with condensed milk and cream. The difference was in the cream, some call for light cream (18-30%% milk fat), or for heavy cream (36% milk fat) or for single cream (18% milk fat). What I found was that these recipes all tasted pretty similar when followed with the whiskey. The difference was when the whiskey was withheld. See, the whiskey masks some of the more subtle flavours and dilutes the drink adding it’s own flavour and strength. When removing this strong element from the mix, the first list of recipes tasted strongly of mocha but not irish cream. The almond extract was the key. Of the recipes online, the one that I fell in love with was from All Recipes.com which called for heavy cream or whipping cream. You can find the recipe here. 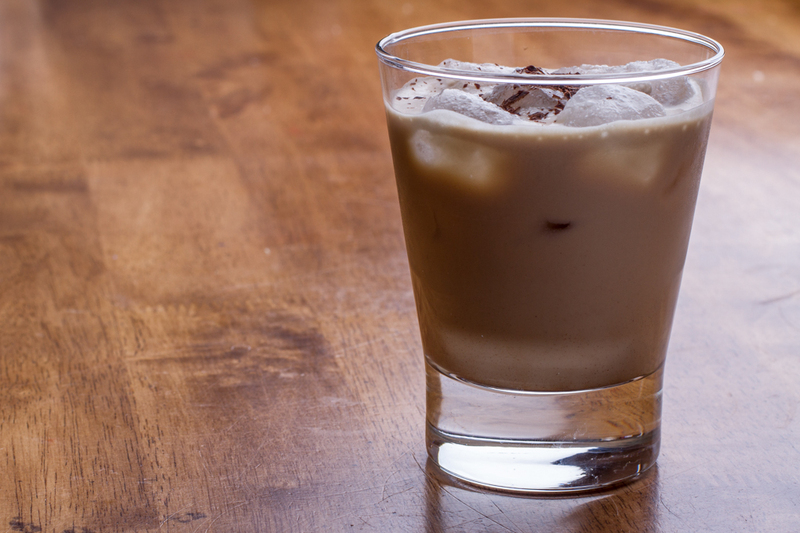 One of the most common drinks using both Irish Cream and a coffee liqueur is the Mudslide. This has been made into deserts, into shakes with the addition of ice-cream , and into slushes (called a frozen mudslide) with the addition of crushed ice. My goal was to create something that had the same taste as the original, or as close as I could get. Mix all ingredients in a cocktail shaker with ice. Pour into a glass and serve. This is a sweeter recipe than the original, due to the concentration of both the syrups. The original recipe I worked with called for 1 part both liqueurs and vodka to 2 parts milk. Because the vodka was omitted and the syrups were more concentrated and thick, I needed to up my milk quantity in order to get a drink that wasn’t overpoweringly sweet. The coffee liqueur is also stronger that Kahlua is when it comes to the coffee flavour. In order to compensate I had to cut the coffee down from equal proportions of both syrups. The final drink is very nice. Lacks the kick of the original which is more than half alcohol. But retains the essence of the drinks flavours. To dress it up I garnished the glass with shaved chocolate. I tried this warmed up and served with whipped cream as a treat for my kids after a cold day in our snow filled world. Bloody Orange Mocktail. Before and after “blood” injection. Halloween is a combination of the the imaginary and the real, the spooky and the fun, the mystical and the macabre. 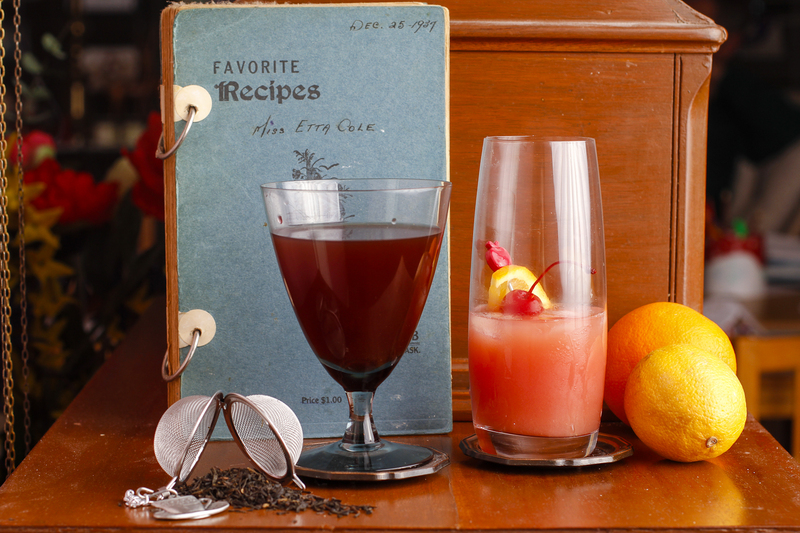 Tonight we are focusing on the macabre – a take on a recipe from Better Home and Gardens called Bloody Orange Cocktail. The idea s is blend of orange and citrus, with a splash of bubbles and vodka. The blood element is raspberry syrup in a syringe that is injected into the drinks after serving. Wonderfully macabre and yet wonderfully tasty. You can find the recipe here for the original drink. When looking for an alternative to the liqueurs found in the original drink, I had to be a bit creative. The original calls for a combination of orange juice and soda water, along with Liquor 43. This Spanish liqueur is citrus and fruit based, but as the name implies it has 43 ingredients. I decided to go with something ginger and citrus based and had just the recipe in mind. Set with my drink base all created I thought that the rest would be simple, add some sugar to my preexisting raspberry juice and Bob’s your uncle. Not quite that easy. First, I only had frozen raspberries and the raspberry juice I had made from frozen raspberries. The original recipe called for fresh raspberries, juiced. Turns out 2 cups of raspberries makes about 1/2 cup juice according to the Oregon State University. So I needed 1/2 cup of juice. Second, it turns out that the key to making the raspberry juice is time. Ten minutes to be precise, as the sugar syrup gets stronger due to evaporation and the pectin in the juice begins to work. Once the liquid cools the result was surprising. Jelly! Yep, delicious spread on your toast jelly. Once that ingredient was perfected, the injected juice keeps it’s integrity in the drink and requires a bit of stirring to dissolve and blend. So that the blood infusion looks more realistic. 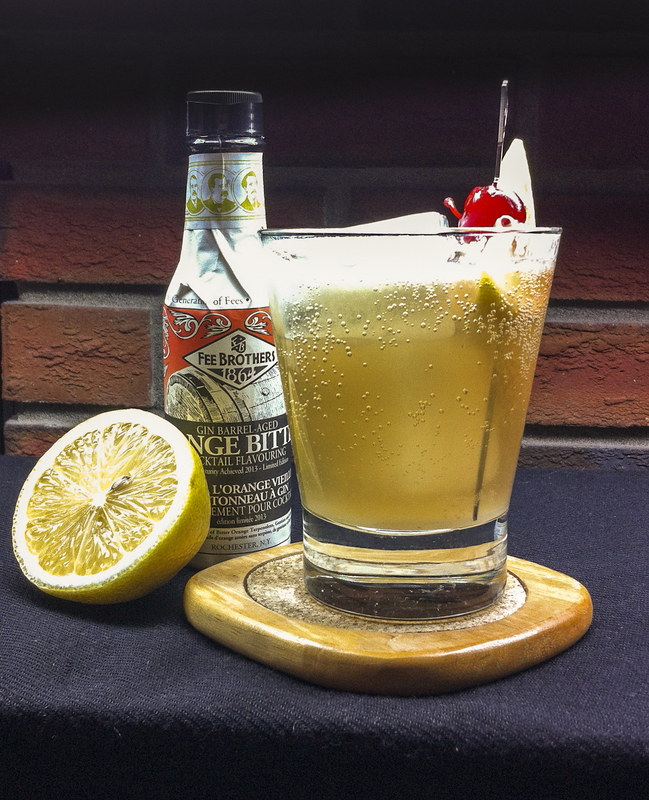 Here is my new recipe for this great idea of a drink, without the booze, but with plenty of kick. 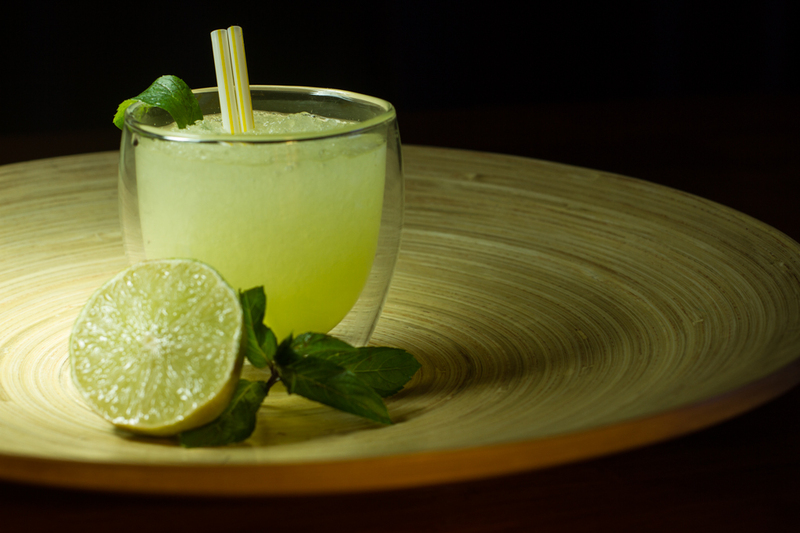 The virgin version of this blends the flavours of orange, lime and ginger with a sparkle of soda for brightness. Fill 10 ml syringe with raspberry syrup/jelly and set aside. 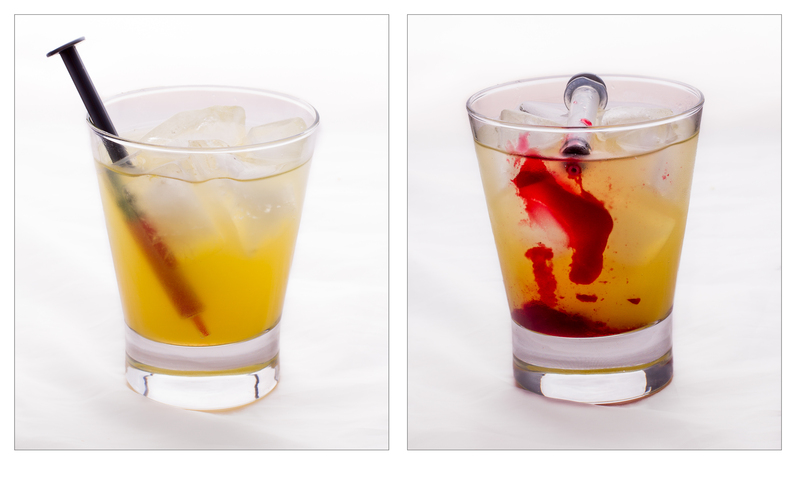 Mix syrups and orange juice concentrate in a shaker with ice. Pour over ice and top with soda water. Plunge syringe into drink and instruct recipient to inject blood before drinking. Serve and enjoy the reactions. The blend of orange and ginger is delicious. When we had this drink for dinner, my kids found the novelty of the syringes fun and used the syringes to stir occasionally if the jelly started to sink to the bottom of the drink. You can find syringes at novelty stores or at pharmacies. When I injected my blood, I found that the syrup just shot into the drink and started dissolving, but my glass was shy on ice. The ice and the slowness of the injection helps to keep the integrity of the jelly intact. Cook raspberries in water on medium until defrosted and then simmer for 5 minutes more. Remove from heat and press raspberries through wire double strainer over a bowl and collect all juice (should be about 1/2 cup). Return juice to pot and add sugar. Heat to a gentle boil (medium high) and continue to cook 10 minutes. Watch the pot and adjust heat as necessary to keep boiling but not overflowing. After 10 minutes remove from heat and pour into heat resistant container with lid. Allow to cool completely before using. Place water, juice, zest and ginger into pot and bring to a simmer. Cook 5 minutes then add sugar and heat until sugar is dissolved completely (medium heat). Remove from heat and store for two days in fridge to allow flavours to blend. Strain syrup and store until needed. While this drink features the macabre, there is nothing truly scary about the taste. My youngest gave this a full 5/5 and asked for seconds while my eldest decided she loved the jelly so much she simple injected a second syringe directly into her mouth. I have seen this drink done with raspberry puree called Vampire Cocktail (drink also features orange and amaratto) on Self Proclaimed Foodie (recipe here) and Bloody Shirley Temple (using grenadine and sprite) for an all ages drink at Your Southern Peach (recipe here).